RapidMiner is one of the most widely used analytics platforms in the world, with over 250,000 users. Organizations of all sizes use RapidMiner, and its range of application is very broad. The fact that many predictive models can be built without resorting to program code is one reason for its popularity, the other being very reasonable pricing. This is a sophisticated offering with over 1500 drag-and-drop operators. Novice users can quickly get up to speed with RapidMiner’s ‘Wisdom of Crowds’ online repository of best practices, and this is quite unique among analytics platforms. Big data is well accommodated through its Radoop platform – insulating users from the complexities and volatility of big data technologies. The importance of this facility cannot be over-emphasized, as organizations struggle to keep up with rapid developments in big data technologies. Organizations of all sizes looking for a cost effective, powerful analytics platform, will find that RapidMiner is a speedy, scalable environment in which to develop and deploy predictive models. RapidMiner is used in every conceivable industry, from cement manufacturing through to electronic payment companies. This range of applications demonstrates very well the versatility of the platform, and both medium and large businesses benefit from its low cost of entry and sophisticated capabilities. One of the most high profile users of RapidMiner is PayPal. It needed to get an inside track on customer churn. The text analytics capabilities of RapidMiner were used to classify customers as ‘top promoters’ and ‘top detractors’ by analyzing feedback. This in turn enabled product managers to take action when negative sentiment was detected. A good example of the result of this analytics was the identification of problems associated with passwords. Changes were made and a corresponding drop in negative comment was the outcome. Body Biolytics provides activity recognition software to the sport, fitness and health industries. Wearable devices generate huge amounts of data, and Body Biolytics uses this to monitor sports and fitness activities. This results in the creation of performance baselines, the tracking of performance improvements, and when a user is over-exerting. The highly bespoke nature of these applications illustrates quite well the diverse uses of RapidMiner, and its flexibility. RapidMiner is a graphical, drag-and-drop analytics platform that is used for creating predictive models. 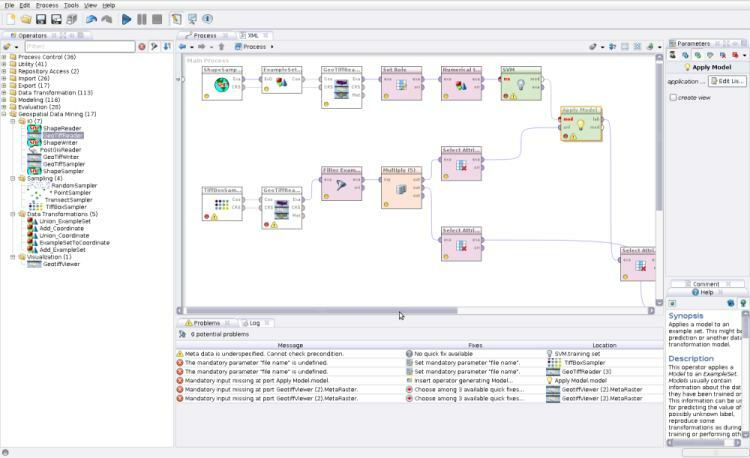 RapidMiner Studio sits on the desktop and allows a data scientist or analyst to build predictive models in a local environment – these can be deployed into production via a number of mechanisms including PMML. RapidMiner Server supports project based work and supports high levels of collaboration. Regardless of variant RapidMiner supports a full development cycle from data wrangling, exploration, model development and testing, and deployment –with no recourse to program code. New and seasoned users of RapidMiner are aided by the online Wisdom of Crowds best practice repository. RapidMiner Radoop allows users to employ big data (or any other data) without having to dive into the complex, changing technologies associated with the Hadoop ecosystem. This means models can be developed in RapidMiner and deployed in the big data environment, utilizing big data technologies (Mahout and MLib for example). RapidMiner Streams utilizes the Apache Storm stream processing capability. Models are developed in RapidMiner and deployed into Storm using pre-built connectors and the application of any of the 1500+ RapidMiner operators. Applications include streaming data from production machines, wearable and IoT devices and financial data streams. RapidMiner Cloud supports the distribution of compute intensive tasks to cloud based facilities. Operators are available to connect with a variety of social and application data sources, including Twitter, Salesforce, Dropbox and over 300 other cloud data sources. Productivity is a major push for RapidMiner, and to this end it supplies Accelerators and Wisdom of Crowd. The Accelerators are effectively solution templates (customer churn for example) that give sixty to eighty per cent fit. Wisdom of Crowd is a large repository of analytic best practices from the 250K users. RapidMiner uses a machine learning repository to recommend how to build an analytic process. By guiding the analytic development, both novices and experts gain knowledge on how to make their models perform better. RapidMiner started life as an open source, freely distributed analytics workbench. The company’s main income was from training and consulting. 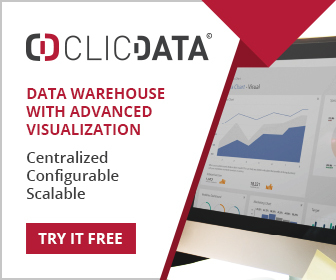 In recent years the product has been developed so that commercial versions are available, with a free version for analysts and data scientists wishing to familiarize themselves with the product. Pricing is very reasonable and commercial versions start from just a few thousand dollars. Most of RapidMiner’s income now comes from product licenses. RapidMiner is a privately held company headquartered in Cambridge MA.